This free online guide to starting seeds indoors is perfect for new gardeners, beginning gardeners, or gardeners who would like an economical alternative to starting a large number of plants. Starting seeds indoors not only allows you to grow more plants at less cost, it also makes it easier to grow the exact varieties you’d like. 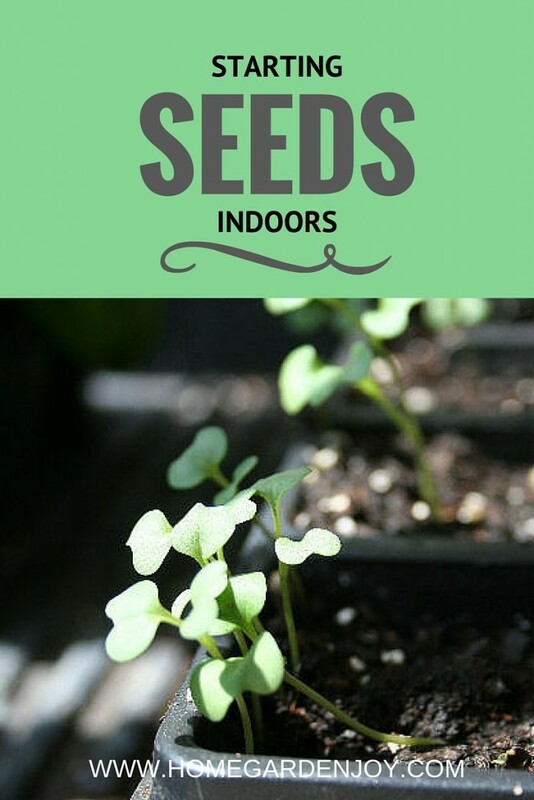 Learn how to start seeds indoors and grow your best garden ever! Starting seeds indoors offers gardeners many benefits. It’s easy, inexpensive, and the varieties are almost endless. Save money: Garden seeds are inexpensive. A .20 package of seed can grow a dozen plants! Even seeds that cost a few dollars are still less expensive than purchasing flats of plants for your garden. Grow new varieties: Seed companies introduce new varieties every year. Some are bred for better flowers or greater disease resistance. When you purchase garden seeds, you can try the newest varieties. 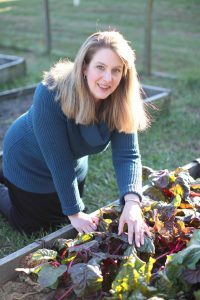 Taste heirloom vegetables: The vegetables you can purchase at the grocery store, and even the farm stand, are usually tried-and-true vegetables that ship easily and grow reliably. But there are some tasty, nutritious vegetables that aren’t available in stores. You can grow them from seeds. Get just what you want: I’m trying to grow more purple and pink flowers for the butterfly garden this year. The local stores don’t have much more to offer me for the garden. 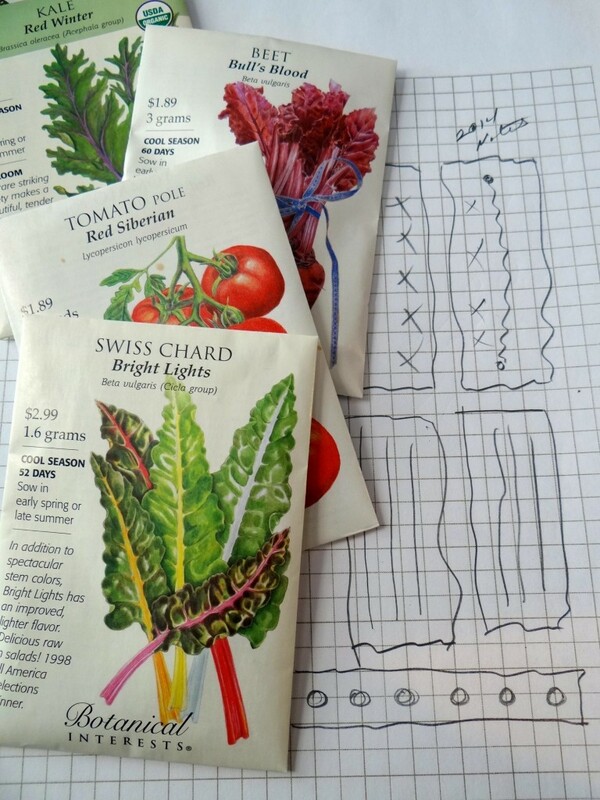 With seeds, however, I can grow dozens of varieties to complete my garden plan without traveling from home to seek new plants. Not only do seed catalogs provide you with these benefits, but if you save your own seeds, you can grow the same varieties year after year. Starting seeds indoors is fun and economical! Are Organic Seeds Better? Some gardeners grow only organic seeds. Find out what the term organic seeds means and how it may affect your garden. Read: Are Organic Seeds Better? Can You Use Old Seeds? Some seeds store well from year to year, while others don’t last as long. Learn how to check seed viability or how to tell with this simple, easy test whether your seeds are still good or not. Read: Can You Use Old Seeds? 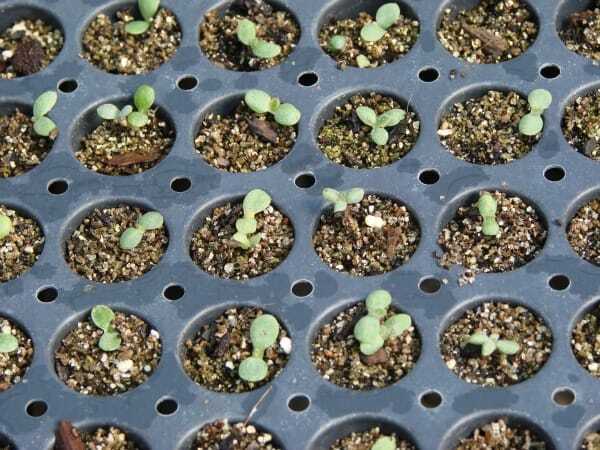 How to Clean Seed Starting Trays: You need to clean trays you’ve used before to prevent diseases from killing your seeds. Here’s how to clean them safely at home. Read: How to Clean Seed Starting Trays. Best Light for Seed Starting: Some seeds need light to germinate. What kind of light is best for seed starting? Read: Best Light for Seed Starting. 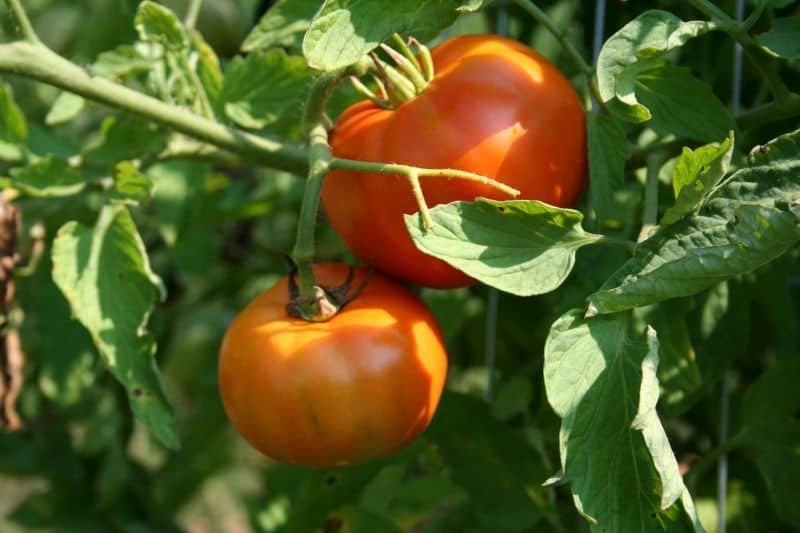 Growing Vegetables from Seeds: This article shares how to grow common vegetables from seeds. Read: Growing Vegetables from Seeds. Stuff to Know When Starting Seeds: The name says it all! 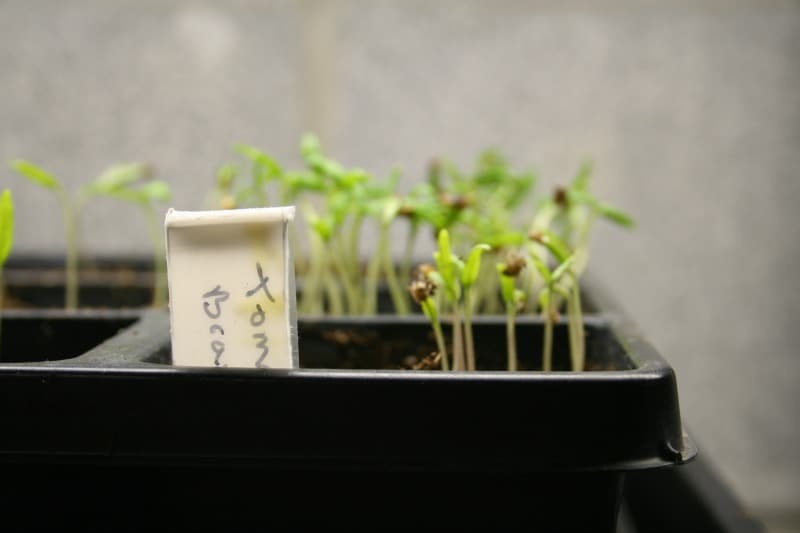 This is some background details on various seed starting terms that may be helpful to you. Read: Stuff to Know When Starting Seeds. You can buy seeds almost everywhere, but my personal favorite companies are shared below. I am an affiliate, which means when you click the picture and buy seeds, I make a little money to support this blog. It does not affect your price. Botanical Interests offers a lovely selection of organic and heirloom seeds. These are USDA certified organic seeds. I love their selection of vegetable seeds and reminders to plant flowers near vegetables to attract pollinating insects. American Meadows offers quality wildflower and meadow species seeds. You can plant a small strip of flowers to support migrating butterflies, birds and insects, or plant a big garden. Burpee is one of the best-known seed catalogs. Their selection and customer service is outstanding. I especially love their tomato seeds! Order all of your seed starting and garden seeds now for the best selection. Don’t wait until May, when many seeds are sold out. Ordering now ensures you can get what you want to grow your best garden ever.